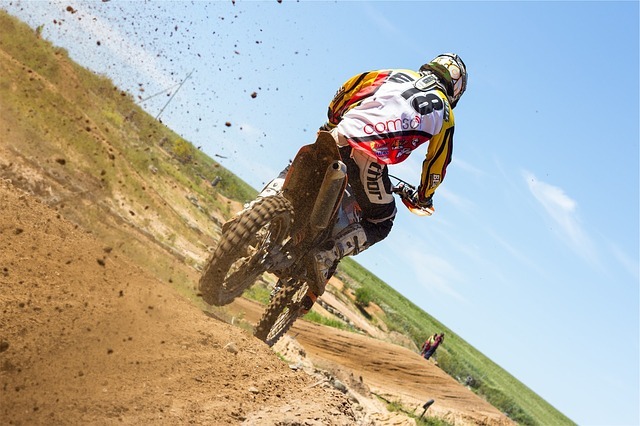 Dirt bikes are some of the most versatile machines on two wheels. They provide all (or most) of the reliability as road bikes at a serious improvement in weight. The biggest issue in pushing practical dirt bike tech forward is usually weight, which off-roaders value above many of the specs of road-going motorcycles. While the “Big Four” Japanese companies will always offer a steady stream of all-arounders, some smaller companies are getting their hands dirty trying to push the envelope in dirt. When sales aren’t likely to match the big competition, word-of-mouth tends to spread in the motorcycle industry, and a big shake-up in tech is always worthy of attention. Here are four things to look for this year in dirt bikes. GasGas is a Spanish company with a thick lineup of trial bikes, but it has recently been looking into innovation in other dirt departments. A couple years ago GasGas merged with similarly underperforming company Ossa and bought the Husqvarna line of Italian-made four strokes. Talk has been floating around of a mini four banger with a light overall weight and a high revving capability with great linear power. The assumed 13,500-rpm machine would break down walls within that category. We are yet to see anything yet, though piece-by-piece the company is making moves. 2017’s new bikes include the GasGas EC 300 R, with the company’s much anticipated battery powered electric starter motor. Kicking is still an option, but electric starter motors are usually left off because of weight additions. The EC 300 R weighs only 235.8 pounds dry. Kawasaki’s Versys X-300 and Honda’s CRF250L will hit the dual-sport market but will they prove to be too small to really cover the road end of terrain duality? People are caring less and less about engine size than ever. Big Harleys and Japanese liter bikes are no longer the coolest thing around, especially to financially scrupulous millennials. Dual-sports are alluring because why buy a bike for the road when you can buy a bike for the road AND trail? The answer is, “Because when you cater to both lifestyles, both will suffer at the hands of the other.” The knobby dirt tires will be tough on roads. The road suspension will not hang with that of “true” dirtbikes when off-roding. A few attempts at long road runs will have the small displacement dual-sport buyers eyeing bigger middleweights in the coming years. On many people’s prediction lists for 2017 is a 500+cc Yamaha dual-sport. For years it has failed to offer a real roadworthy alternative to Kawasaki’s KLR 650, Honda’s XR 650 or Suzuki’s DRZ650. Especially in reference to the earlier claim of the small-displacement dual-sports tanking in the coming years, Yamaha should have something ready to go to swoop in on the size-minded market. Despite up-and-coming brands’ exciting contributions to the dirt bike scene, it goes without saying that Austrian company KTM still leads the charge in actual materialization of new cutting-edge technologies. They dropped five kilograms across the board on their line of enduros. New lateral brackets allow efficient fixation of the engine to the frame in the big KTM 500 EXC-F. Most importantly is the new 42-mm throttle body for fuel injection. Unique injector position gives instantaneous responses. Fuel injection in a category dominated by carburetion is a welcome idea to both the mechanically responsible and the environmentally friendly.